I first grabbed a pair of rubber boots and a handful of worms when I was 12 years old thanks to my godfather (not the Al Pacino kind, the other more mellow one). As a kid, bait and spinning fishing in mountain lakes and rivers ruled my little world and after gradually losing interest for this type of fishing, I eventually quit only to discover fly fishing through my cousin, an avid trout and salmon angler, some 15 years later. I got literally hooked on the first cast, getting that fly stuck in my back but it’s only been uphill ever since. I’m located in the Alps, Southwest of Switzerland, and find myself boulder-hopping and hiking waterfalls in small streams all the time. Exploring and hiking every little stream out there with your friends is the most fun you can have and while this is small trout territory, fish are as wild as can be and the beauty of the landscape doesn’t hurt either. Once trout waters close down at the end of October, we head to Central Switzerland to chase for graylings on the Aare river until the end of the year. Short and cold days, but gin clear water, warm coffee and rising fish regardless. What’s the height of the season for you? What time of year is your personal favorite?ite? To be quite honest and regardless of how cliche this will sound, every single day on the water with friends, old and new, is the height of the season. Never a dull day, even when the fish is not biting because good times couldn’t care less about weather and fishing conditions. Nevertheless, my favorite time of the year would be autumn, when the weather gets colder, the colors are changing and those trouts grab terrestrials like there is no tomorrow. 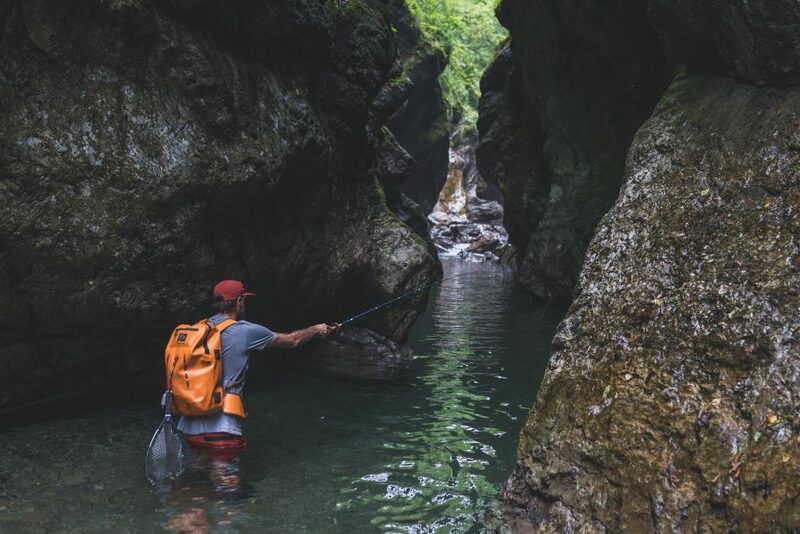 Anywhere you can go and experience more than just fly fishing. I like my rod and time on the water to be just one part of the story. Fly fishing the little streams of the Faroe Islands was insane in that it made the human, photographer and angler in me happy all at the same time. Fly fishing in Japan currently sits at the very top of my list. A good old chocolate brown sedge, size 12 or 14, never disappoints. Watching a trout or grayling smash it is a thing of beauty.